Inspired by the need for first class care in familiar surroundings, Harley Street Care was founded with the aim of taking an ethical approach to domiciliary care. By ensuring that our care assistants are well trained, well compensated and looked after, we are able to provide you with a service that is second to none. At Harley Street Care every client is treated with the utmost respect and compassion. We employ a dedicated management team with a wide breadth of expertise, and apply a rigorous vetting procedure to all our new care assistants. Regular client reviews also help to ensure we’re providing you with the best care possible. Specialising in elderly, dementia and disability care, we also offer support services covering a range of other needs. We cover the Greater London area, providing bespoke care services and nursing to families who expect the best for their loved ones. Here at Harley Street Care, your life, best lived, is our priority. Harley Street Care provides 24-hour support with our dedicated live-in care staff. To find out more about our live-in care services in London, read more. “I want to commend you on your staff and the service that Harley St offer. In the last 24 hours we have experienced tremendous assistance in getting care for my wonderful father. I spoke to Hannah only yesterday and in that time she has attended an assessment at my parents’ home and has organised a carer to start work tomorrow at 11am. Over the phone, on email and the information enclosed vis a vis price list and care offered is simple and easily understood. The last thing one needs in these situations is pages and pages of confusing T&C’s. As a carer, you are constantly looked after if any concerns are voiced. Development as a carer is also provided through the fantastic skill training offered to me. Harley Street Care helped me during a very difficult time in my life. Their carers were with me for approximately six months. They were unfailingly kind and courteous. Indeed one of them I am still in contact with as a friend now. They helped me to shop, prepare meals and with personal hygiene when I needed it. I cannot recommend them enough. 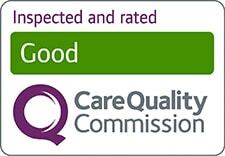 I have had experience of a care company in the past and believe me Harley Street Care are the best. We would just like to say how pleased we are with the service we’ve received from Harley Street Care. From our initial enquiry to meeting our first carer the team kept us informed and reassured every step of the way. Thank you all so much, you are a credit to your industry! Harley Street Care have been great to work with. They communicate with me and make me feel valued as a care worker and member of the team, this is something other agencies I have worked with don’t do. I wanted to express my thanks for all your help in providing support for my mother. Although she was only in your care for a few months it made such a difference to both me and my family. The warmth and your carers provided was absolutely brilliant. Thank you again. I have worked with a lot of agencies, and Harley Street Care look after their staff best. They pay well and if I need help I can call them even in the evenings. These things are important for a carer.